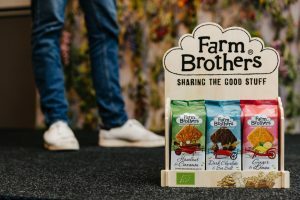 It’s no joke, Farm Brothers Teyler Padberg and Herman Insinger have set out to show the world cookies can be healthier, organic and delicious. 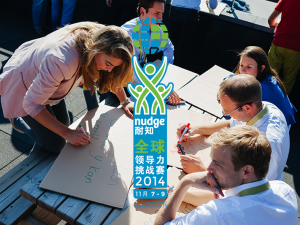 Together with young professionals of the 2017 Nudge Global Impact Challenge, they brainstormed on the story to tell when spreading the word about their cookies to consumers. Although not brothers by birth, Teyler and Herman are brothers in mindset. Growing up they enjoyed the perks of healthy and organic food. However, moving to the city made them realise this is not self-evident (and affordable) for everyone. This has sparked their passion to bake organic cookies that are so delicious and fair-priced, you can’t believe they are healthy too. In 2015, they founded social enterprise Farm Brothers and have been taking retailers and hotels in Europe by storm ever since. Everywhere you look there are Farm Brother cookies. Their mission does not stop at healthy and tasty. They want to contribute to a fair food system by making people aware of organic alternatives with great taste. 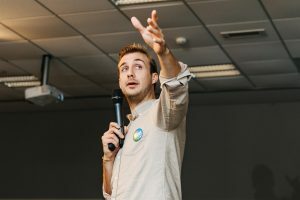 Teyler: “The organic market has grown enormously in the past years but to position our product well, we need to step out of the niche.” This means spreading the word about organic in a new and attractive way. Teyler: “We have many great things planned for 2018!” With their drive to spread the word about organic and healthy cookies, they will continue to expand their territory far across Europe and launch even more delicious treats. At Nudge, we are very excited to see Farm Brothers grow and will definitely keep an eye out for the impact they will make in 2018.